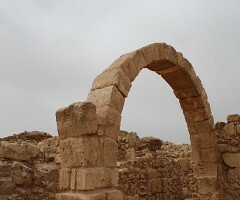 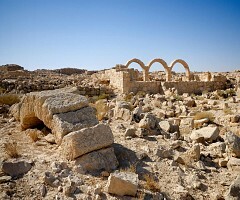 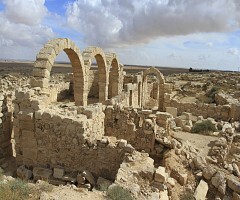 Umm al-Rasas is an important archaeological site located about 30 km southeast of Madaba that was declared a World Heritage Site in 2004. 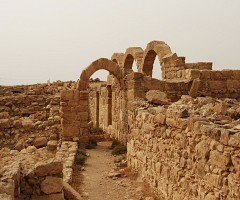 Its structures date from the 3rd to 9th centuries. 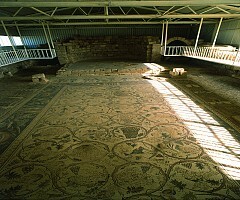 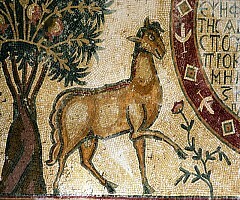 The site is especially known for its magnificent Byzantine mosaics, which have been uncovered in two churches dating from the 6th and 8th centuries. 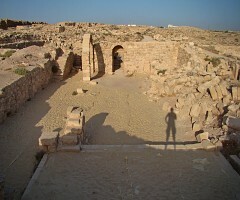 This site has been inhabited since at least the Iron Age (7th century BC), as attested by artifacts such as a basalt pillar base and a stone scarab. 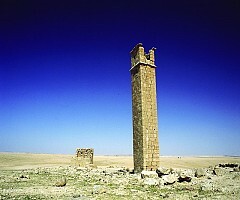 In ancient times, it was a Moabite town called Kastron Mefaa. 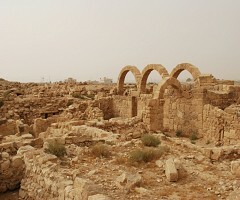 The prophet Jeremiah mentioned the city (as Mephaath) in his condemnation of Moab (Jeremiah 48:21).